It has been a very strange and hectic time lately, due to all kind of RL events that kept me busy and distracted me too much to do some proper exploring – let alone blogging! 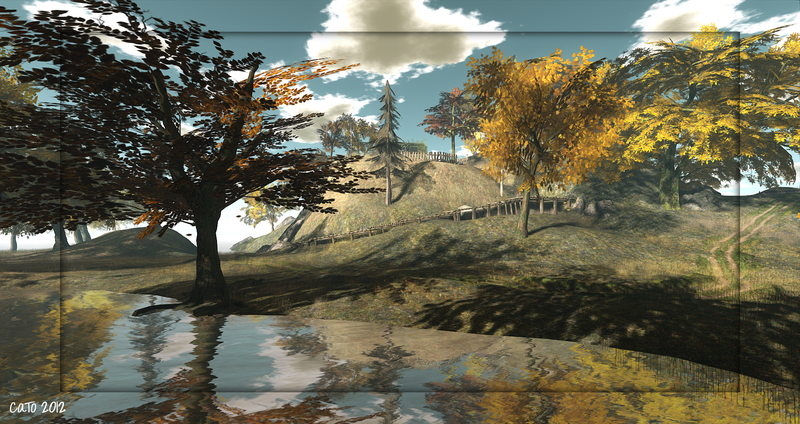 Hence, I have neglected my poor blog…..But, I am getting back into the wonders of the Virtual World of Second Life and yesterday I found a beautiful place to wander around and enjoy the scenery. 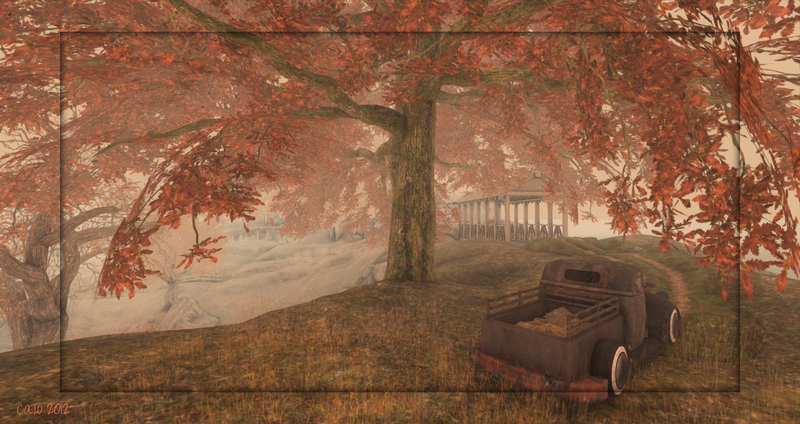 Scribbled Hearts is a sim decorated in Autumn style and very lovely done. I took my Yoga mat with me, this sim is photographer friendly and you can rezz your own props (autoreturn is 2 mins, more than enough to rezz and sit! ), which I really appreciate. So often I enter cool places which then to my dissapointment have rezzing disabled and worse: scripts disabled! so you can’t use huds or props to pose and make pics – other than the environment. Anyway, Scribbled Hearts is great to spend some autumn-hours on. There are several nice spots with cute decorations and there is also a shop hidden….I would say: go and enjoy! I love my yoga-mat from Dutchie, it has amazing animations and poses!